Knitting… and lots more knitting! Yep, just a cast on row. Getting the first pattern row right took hours and lots of tinking (knitter’s speak for undoing). What with the shop and the impending Shows, it seems like the knitting needles are never out of G and my hands. It’s great that people like to buy the hand knits, but they all take time to knit and at present we are focussing on our Show entries. 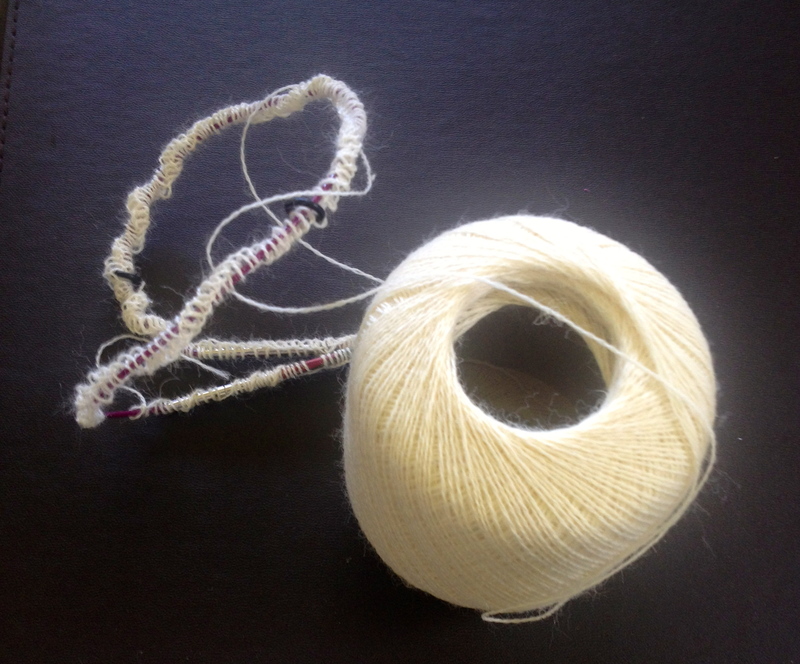 To make best use of our efforts, we are endeavouring to use shop yarn and our own patterns (or at least patterns that are easily accessible to others), so the finished entries can then become shop displays or the basis for our classes – it’s called “leveraging”! Looks a bit of a mess at present. 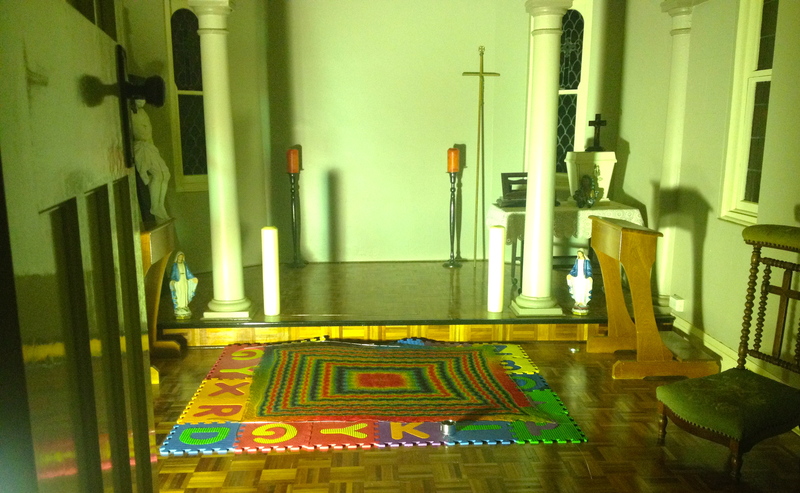 Not sure how many knitters have a Chapel floor on which to block. Don’t think it will help with judges scoring at the end, though! So far I’ve managed a shawl in a very vibrant Zauberball Lace – different from my usual classic and subdued style and have just cast on the beginnings of a sampler lace shawl using Jamieson & Smith 2 ply Shetland Lace. I’m hoping this can be used in a future lace workshop for customers. But I’ll be knitting into the wee hours each night to have a fighting chance of getting this into the Rylstone/Kandos Show in late February. I’m hoping to have a few items finished by the time Show season kicks off, with a few more entries completed shortly after for the later Shows. We’re also encouraging our customers to enter so others can see the possibilities with knitting and that the craft has evolved considerably from people’s previous expectations. In the meantime, there’s still some shop knitting happening. The past week it was focussing on Noro and Zauberball Spiral Beanies – one of our best sellers. 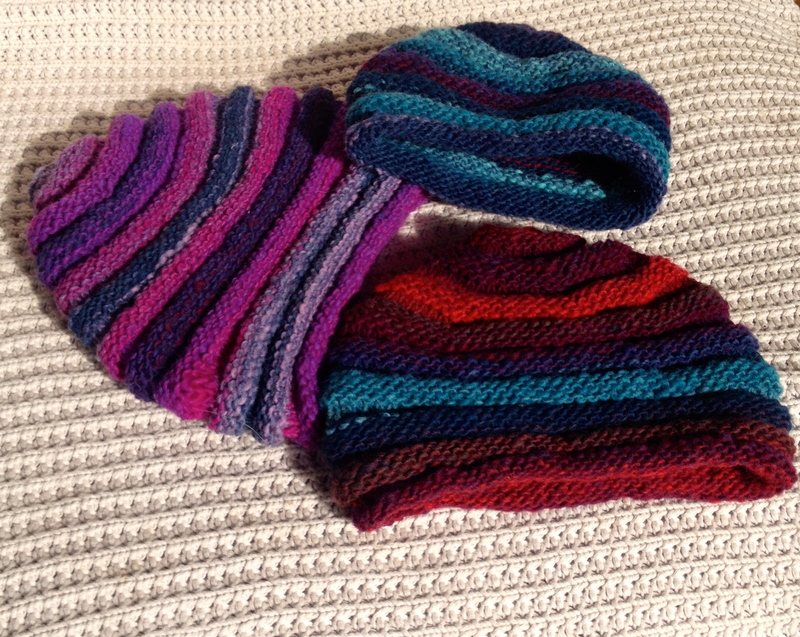 Noro beanies – very popular. Now adding Zauberballs to the mix.